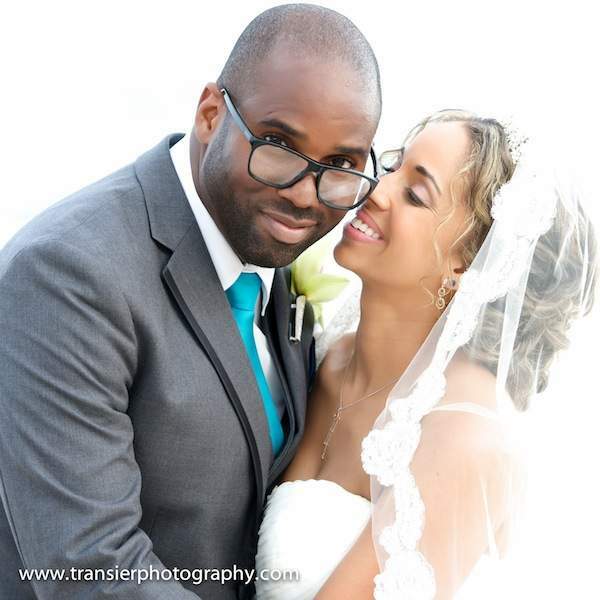 Jasmine and Gary, what a beautiful couple! They got married at The Reach Resort with a gorgeous ceremony at the gazebo on the beach, cocktail hour on the veranda and a festive reception in the grand ballroom. 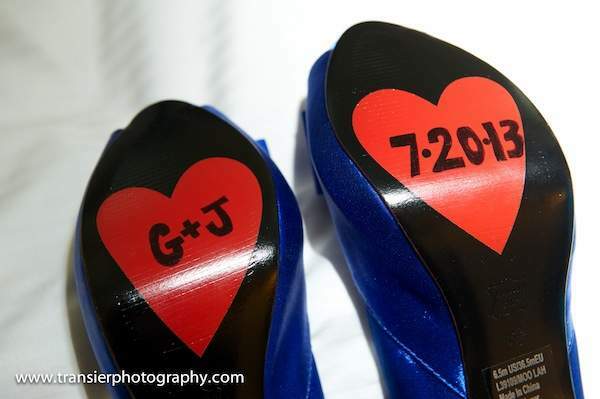 We loved Jasmine’s style, from her gorgeous veil to her “something blue” shoes with heart detailing on the soles. 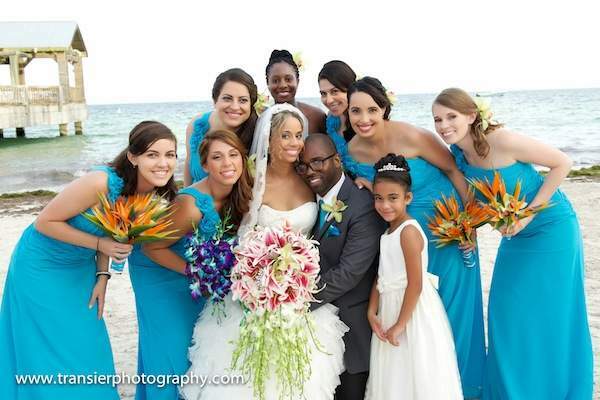 She got beautiful with the Casa Salon for hair and makeup before the ceremony. 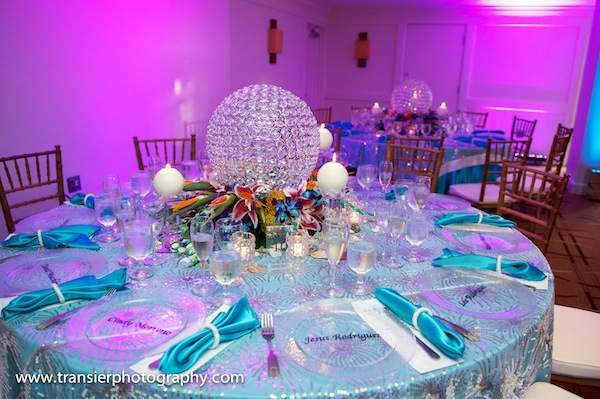 The gorgeous, tropical flowers for the wedding were created by The Desing Group in Miami. They also took care of the party rentals and linens. Rev. Steve Torrence officiated the beachside ceremony. Acoustic guitar soloist Din provided beautiful entertainment with his musical stylings. We adored the way the couple worked flowers into the decor, from the gorgeous centerpieces to the towering layer cake that Key West Cakes created. Later during the reception, Jasmine was presented with a flower crown and Gary with greenery around his neck. 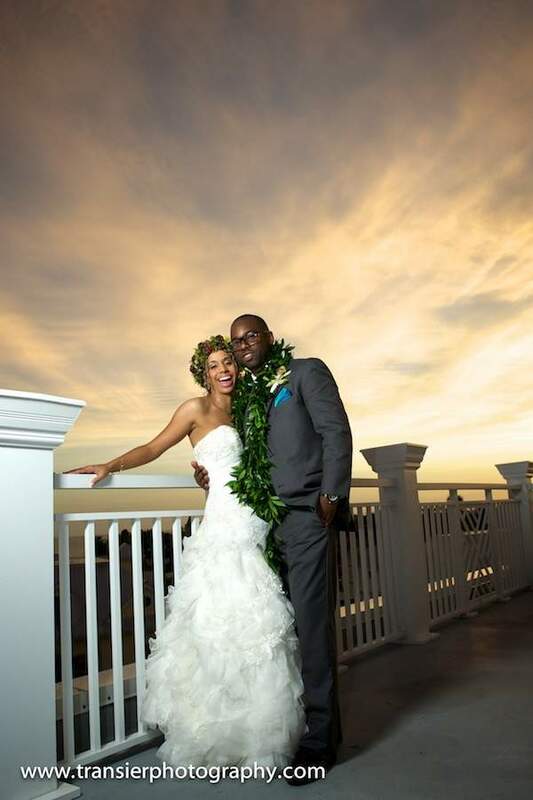 It was the perfect tropical island touch for this lovely couple. 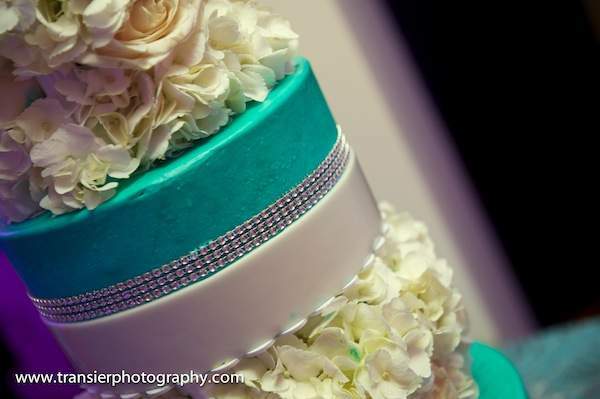 Christy Transier of Transier Photography captured these gorgeous photos and CineaVerde was the videographer. Congratulations Jasmine and Gary!